Not even the allure of playing English Premier League club Everton next month was enough for Gor Mahia coach Jose Marcelo Ferreira to stay longer at the club. The Brazilian trainer abruptly quit his job on Thursday, barely 14 months after his appointment. In the wake of his exit, former Kenya international Zedekiah “Zico” Otieno has been drafted as the stand-in coach. In a letter to Gor Mahia chairman Ambrose Rachier, the Brazilian thanked the club for giving him the opportunity to serve the team but did not give reasons for his decision to quit the club. “Dear Mr President, I hereby submit my resignation request, so terminate my contract from the position of the Head Coach I have held since March 2016 to date,” he said in the letter. Ze Maria has quit alongside his Brazilian assistant Marcos Aurelio even though another Brazilian on the bench, fitness trainer Sandro Fantoni is reportedly staying put. 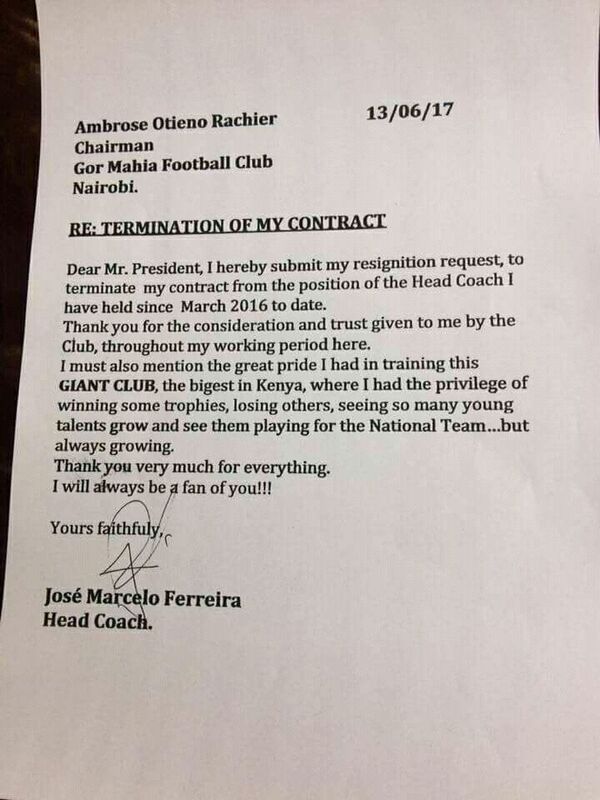 Gor Mahia chairman Ambrose Rachier on Thursday confirmed receipt of Marcelo’s resignation letter. “The coach has written us a very wonderful letter and asked to leave. We have accepted the resignation. Zico takes over and we will convene an emergency executive meeting to discuss what next,” said Rachier. Marcelo’s departure isn’t quite surprising according to club insiders. It is reported that the former Brazilian international had fallen out with senior officials at the club, chiefly owing to consistent delays in receiving his dues. As a matter of fact, the ex-Inter Milan defender went on strike last March, demanding he be refunded his Visa dues and other allowances accrued during his off the season trip to Brazil. In his firt season at the club, Ze Maria relinquished the league and domestic title to Tusker, but but redeemed himself by clinching the KPL Super Cup as his side beat the brewers in the season curtain raiser earlier this year. His last assignment at the club was the final of the inaugural SportPesa Super Cup tourney in Tanzania on Sunday, where he guided Gor Mahia to the title after a 3-0 win over arch-rivals AFC Leopards at Uhuru Stadium. He, however leaves the club top of the standings after 13 rounds of matches. Gor Mahia will face Everton in a highly billed friendly on July 13. 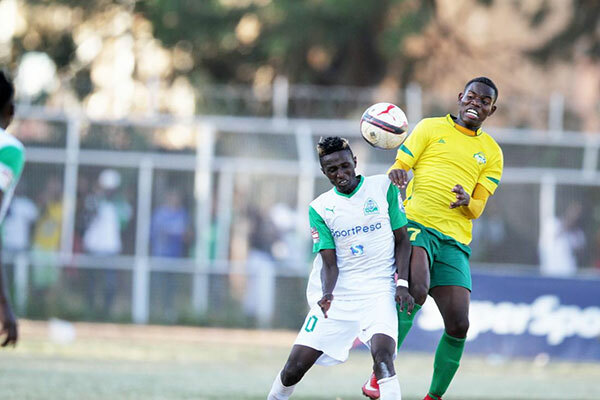 With concerns over security and lack of a venue set aside, the two biggest arch-rivals in Kenya football will clash at Nyayo stadium this Sunday. With only two points separating the two sides, it is bound to be a tense derby. Last season, Gor Mahia lost the first leg 0-1 but avenged the loss by beating Ingwe 2-0 in the return leg with goals from Meddie Kagere and Enock Agwanda. In Sunday’s derby, Gor Mahia will once again rely on Kagere’s scoring instincts, particularly if Jacque Tuyisenge who is nursing an injury, misses the match. Tuyisenge picked up a knee injury in Sunday’s dissapointing loss to Mathare. “Jack has a little knee injury but I hope it will not be serious and he can be able to play on Sunday. We will look at him over the next two days and decide whether he will be fit enough to play,” said coach Ze Maria to Capital Sports. In defence, Gor Mahia will be hard pressed to contain the Ingwe duo of burly Ghanaian Fiamenyo and Ugandan Allan Kataregga, both of whom have scored key goals this season. Fiamenyo who has scored four goals this season, typically uses his massive frame to shrug off defenders and uses quick bursts to run into open space. The task of containing him falls to Musa Mohamed and Harun Shakava. In Midfield, Gor Mahia will be boosted if Kenneth Muguna who missed last weekend’s action returns. Muguna was nursing an injury last weekend but returned to training this week. “Jack has a little knee injury but I hope it will not be serious and he can be able to play on Sunday. We will look at him over the next two days and decide whether he will be fit enough to play,” continued Ze Maria. Whereas AFC supporters appear content with their coach, Gor Mahia fans have been unhappy with Ze Maria. Last weekend, fans barricaded the team and questioned the technical bench, prompting team trainer Sandro Fantino to threaten to fight fans. And Ze Maria knows the pressure of winning a derby, having participated in matches pitting bitter rivals Brazil and Argentina. The Brazilian tactician is optmistic of a positive result on Sunday. Ze Maria has also instructed his players to stop reading social media comments. Last week there were reports that Tuyisenge in particular has lost his confidence due to harsh criticisms online. ““We are doing more of interpersonal discussions and less of pitch training. This is because I need get the pressure off these players’ minds. They need to focus on the game, not on the comments being made on social media. I work best under pressure, but the same is not true for the players. Players get easily discouraged by criticism so I have asked them to stay away from social media for their own good,” said Ferreira to the Nation. Ingwe coach Stewart Hall for his part, played coy and insisted that this is just a normal game. Hall will be coaching in his first mashemeji derby. But he is not intimidated and insists that he knows what to expect. “I am not new to such derbies. In the clubs that I coached previously, there were such high profile matches which I took charge of. This will not be different. I have attended the Mashemeji derby in the past so I know what to expect. All that is required is to be mentally prepared for the match and that confidence is what we are working on.” said Hall to the Nation. With Nyayo stadium still under renovation, any damage to the stadium is likely to be punished heavily. So one would hope that fans will behave themselves. 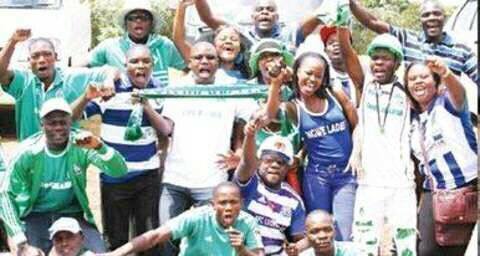 Gor Mahia fans in particular will have hopefully learned from last year’s debacle that saw them lose three crucial points that eventually cost them the title. 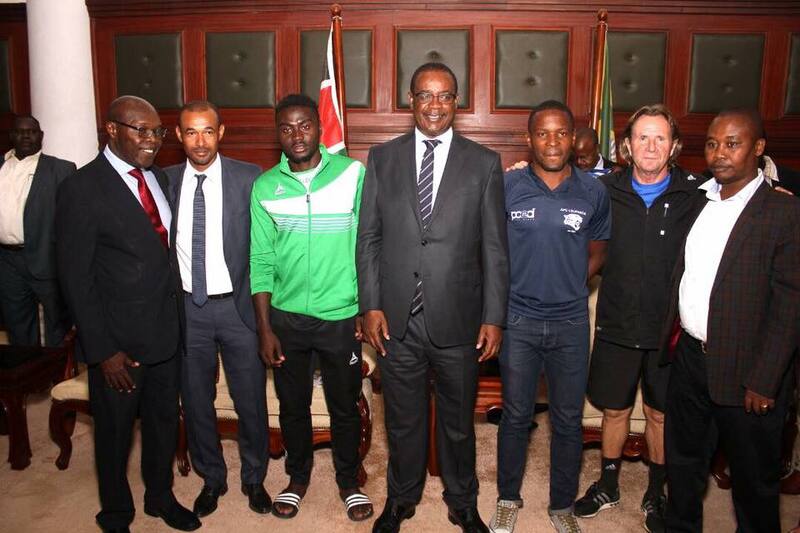 Nairobi governor Evans Kidero, who gave both teams Ksh 200,000, urged the fans of both sides to maintain peace during the derby. Kidero also said that renovation at City Stadium is on track. After starting the league with an impressive 3-1 win over Kariobangi Sharks at the Thika municipal stadium in week one, Gor Mahia has found it tougher since then, scoring only one goal per game in the next three matches. Coach Ze Maria recognizes how tough the league is but he will stop at nothing to win all three titles at stake. “It will be very hard this year because many teams are playing well; but we are Gor Mahia and we have to try to win. We have taken one trophy this year but we have another three to play and we will try to take them to give to our fans,” the Brazilian tactician told Capital Sport. What has carried Gor Mahia is the availability of better players at Ze Maria’s disposal. In 2017, Gor Mahia was hampered by the departure of several key players who had played important roles in the unbeaten season of 2015. This year the squad is more settled. “This year our level is a bit higher. We have good players and all of them want to play and this is a good problem for me because of competition in the group,” the tactician continued. Kakamega Homeboyz for their part have blasted the officiating which they say cost them the match. “I was surprised to see no action taken against Boniface Oluoch by referee Andrew Juma after the keeper dangerously tackled our striker Wycliffe Ochomo in that match.” said Gilbert Alushula to goal.com. The official insinuated that Juma favoured Kogalo because he is a brother to Boniface Oluoch. “It is very unprofessional for a referee of Andrew Juma’s caliber to allow open mistakes and I think he should not be appointed to take charge of Gor Mahia matches in the future,” he continued. 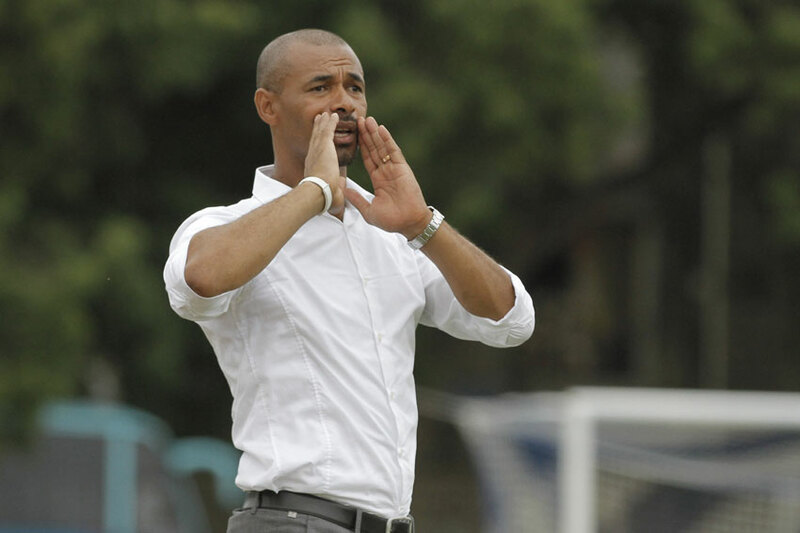 Gor Mahia’s Brazilian tactician Ze Maria is satisfied with the result obtained on Sunday. He thinks the club’s results will be better this season due to more options. “I have a lot of players with great quality and we can play any system. I have a lot of solutions this year because of the quality of players in the team,” he said to Capital Sports. This is good news for the coach because last season, the team was waylaid by fewer midfield options which only became worse when Collins Okoth fell out of favour with the coach due to disciplinary issues. More options also means more intense competition for places which is good for the coach. “I am happy… every coach wants this difficulty, I am happy for the team because we have many players in each position and that is good because when any of them come on, they have to give 100 per cent on the field.” he continued. Gor Mahia have also shown an ability to adapt their tactics to the situation. The Thika field is of abysmal quality, not even suitable for grazing. 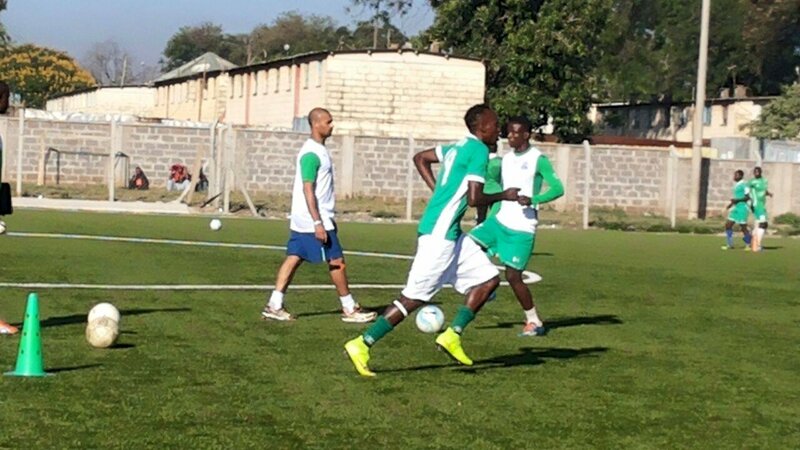 But Gor Mahia who have been training at the Camp Toyoyo turf, adapting to the bumpy surface and dominated the match. 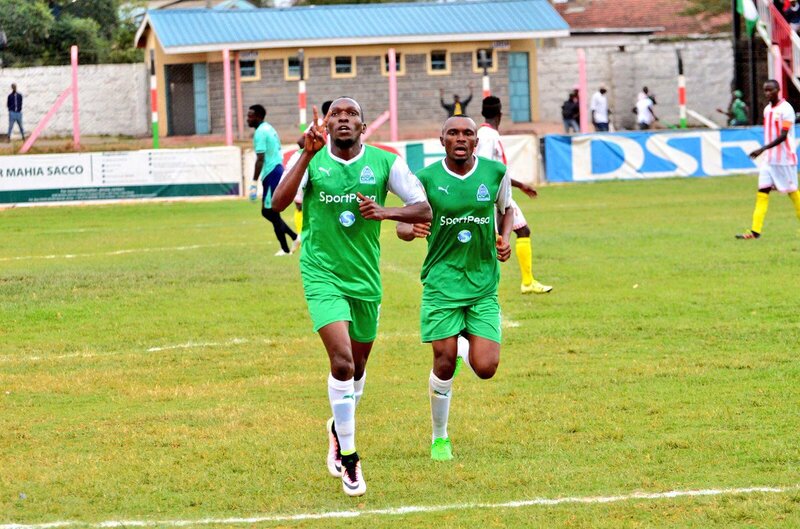 Kariobangi Sharks were determined to prove a point after being recently promoted. They started strongly but Gor Mahia were equal to the task. “I am happy… every coach wants this difficulty, I am happy for the team because we have many players in each position and that is good because when any of them come on, they have to give 100 per cent on the field.” he said. Gor Mahia coach Ze Maria appears eager to make amends for the 2016 season which ended without Gor Mahia bagging a single trophy. The Brazilian tactician wants to win every trophy on offer in 2017. And he believes last Sunday’s win provides a good platform. “What impresses me the most is that we have beaten Tusker yet last year we were unable to overcome them in the two league matches. The team played very well and that is very encouraging as we prepare for the new season,” he said. Gor Mahia start their cup campaign this weekend against newly promoted Kariobangi Sharks at Thika municipal stadium on Sunday. Collins Okoth Gattuso, who last year had run ins with the head coach, now claims the have patched things up. However Gattuso was missing from the line-up on Sunday and according to club official Judith Nyangi, it was he (Gattuso) who simply decided not to show up for the match. Gor Mahia coach Jose Ferreira aka Ze Maria has sought to assuage the concerns of Kogalo faithful over the poor results recorded by the team during the 2017 pre-season. Under pressure from fans, Ze Maria wants fans not to lose faith. According to him, pre-season matches are used to try out new players, new strategies and to experiment. “I know that friendly matches are used to gauge a team’s preparedness, but they can also be used as a platform to test the things that work and those that don’t. We are in preseason and as you know, there are a few new players who have joined us.” he said to the KPL website. He also insisted that things will be different when the league starts. “That means that we have to find the right balance to ensure that we are able to make a good start in the league and sustain that performance until the end of the season. The fans shouldn’t get worried at all by these results. Things shall be different when the league commences,” he assured. Gor Mahia’s first three losses came against strong opposition in the form of Al Hilal of Sudan, Thika United and Onduparaka of Uganda. Another loss which was perhaps the most shocking came against Administration Police. The two wins came against lower tier opposition in the form of Wazito FC. Indeed if coaches are judged on pre-season results then they will all resort to playing mediocre opposition which will not prepare them for the rigors of the season. For this reason, the club EC has decided not to judge Ze Maria on recent results. The rubber will meet the road when the league finally starts. The Fifa Ethics Committee has opened investigations on three Kenyan Premier League (KPL) clubs (Gor Mahia, AFC and Sofapaka) over alleged irregularities on past player transfers according to the Standard. The three clubs will meet with the head of Integrity and Compliance Kimberly Morris next week. The Standard report says that the investigations have to do with the fact that on some occasions, the clubs have not been receiving money in their accounts on some player transfers. “The Ethics Commission is concerned that while the three teams have been selling players the money has not been coming into their club accounts and they want to find out what has been happening,” said our source. Gor Mahia acting Chief Executive Lodvick Aduda confirmed the club has been summoned to meet the Fifa officials, but insisted they have nothing to fear. “The fact is all the international transfers that we have done in the last two years were captured on the Transfer Manager System (TMS) of the federation. We can account for every player sold during that period and therefore we have nothing to hide,” Adda said to the Standard. Before the meeting with Fifa officials, Gor Mahia have been asked to submit to FKF their financial statements for the last two years which Aduda has confirmed they have done so. Doubts, however, still remain on exactly how much the club received for the sale of Khalid Aucho to South African club Baroka this year. Sources say the South African club paid an official of the club cash money instead of depositing it into Gor Mahia’s account and this among other cases may have drawn the interest of Fifa. In September of last year,Gor Mahia announced that they had received Ksh 1.6 million from Baroka FC of South Africa as Aucho’s transfer fee. As for Ali Abondo, the club announced that he had left for free despite still having a yer left on his contract. Gor Mahia coach Ze Maria is concerned about his player’s focus and is calling for a quick resolution to the impasse between KPL and FKF. “We were prepared to start and we now feel disorganized. When finishing the pre-season training, you mentally and physically condition your players for a strong start but their minds have now drifting elsewhere. We didn’t expect the two bodies to spend a lot of time in settling whatever is stopping the league. I hope they will agree as soon as possible so that we get started. We are already late and the delays will spill over into our fixtures through the season,” the former Brazilian international stated.” he said to Citizens sports. Ze Maria has no problem playing in an 18 team league so long as logistics are taken care of. “I played in Italy where the top-flight is 20 clubs, so 18 teams in a league is not a big deal. What matters is the organization of the same. For example do we have enough funding for our teams? Can we fly our teams from Mombasa to Nairobi or to Kisumu?. In European countries, when it is very hot, teams schedule their matches at night but here we don’t have capacity in of most our stadia to play at night. Basically with improved general environment of the local sport going to as many teams as 20 won’t be an issue,” he continued. In one of his first coaching positions, Ze Maria coached a team whose logistics were so poor that fans would at times donate their own cars to ferry players from one town to another. Speaking of stadia, all the Nairobi based teams will need to find alternate venues for their matches because Kasarani, Nyayo and City stadium will be closed for renovations. Kasarani is being renovated for the IAAF World Under-18 Championships in July. Nyayo is being renovated for the 2018 CHAN. City stadium has been closed since last year though renovations there have yet to start. “For Gor Mahia and Leopards games which are classified as high risk, the alternative venues are Afraha stadium in Nakuru County and Machakos stadium,” said Jack Oguda, the Kenya Premier League CEO to the Nation. The other Nairobi based teams will play at Camp Toyoyo, Ruaraka and Naivasha. Gor Mahia have officially hired former national team goalkeeper Willis Ochieng to replace Mathew Ottamax. Ochieng previously worked in the same capacity for Zoo Kericho and Western Stima. As a player, he is one of the most experienced goalkeepers Kenya has ever produced. Locally he played for Chemelil Sugar, Mumias Sugar and the national team. Abroad, he played for Free State stars in South Africa, Skelleftea in Sweden, Marienham in Finland and Simba of Tanzania. While in Finland he was implicated in a bribery scandal. Ottamax was left out of the team that traveled to Sudan in January amid reports that he was not getting along with Ze Maria. In 2016, reports emerged that he had been fired by Ze Maria only for chairman Rachier to intervene and reinstate Ottamax. Gor Mahia chairman, Ambrose Rachier has admitted that there is immense pressure from fans to make changes in the technical bench. However for now he is sticking with Brazilian tactician Ze Maria. Rachier and Ze Maria had a discussion about the string of poor results and the Brazilian gave satisfactory reasons for the losses. “I summoned the coach today and he gave satisfactory reasons why we have lost all the 3 matches,” Rachier said. According to the club boss, the tactician blamed the losses on a couple of things. In Sudan, the coach mentioned that the team was still fresh from holiday and the players had hardly had enough time to train together. Against Thika, the coach said that he tried out all the players available, and didn’t feature his best team as his intention was to watch each player individually. According to Rachier, Ze Maria laid blame on lack of fitness for the loss to Onduparaka, who he noted were much fitter then” . This according to Kenyanstar newspaper. Rachier also noted that pre-season results were not a good way to gauge a coaches’ performance. “It was important to sit with the coach and find out the real issues. It would set a bad precedence is we sacked the coach based on the performance in pre-season. We have given the coach very clear targets and indicated to him that we want good results once the season starts,” Rachier said, adding, “The coach assured us that results will be better.” he continued to Kenyanstar. Under Nuttall in 2015, Gor Mahia recorded poor pre-season results including surprise losses to Mombasa combined and a 3-0 loss to Power Dynamos of Zambia. Many fans have been clamouring for the return of Frank Nuttall under whom Gor Mahia won the league twice and went unbeaten. But Rachier hinted at why Nuttall’s return was a non-starter. “There are some coaches who get to the club, perform well then later team up with fans, incite them and start making some crazy demands. They feel they are demigods . The best thing to do is part ways with such coaches very fast and avoid further destabilization of the team.” he said.